What if I told you that you could retell a favorite book using THREE BLOCKS? Just three blocks can retell a favorite preschool book. Because preschoolers like tangible objects they can hold, move and manipulate. Objects do not have to be fancy, expensive or perfect. They simply just need to be held. What's Important to a Preschool Story Retell? By Kindergarten, children will be asked to with prompting and support, ask and answer questions about key details in a text. Kindergarteners will also be asked to With prompting and support, identify characters, settings, and major events in a story. Details stem from the beginning, middle, and ending of a story. If you love preschool activities from books, you will love this round-up of 20+ Super Fun Book Activities. 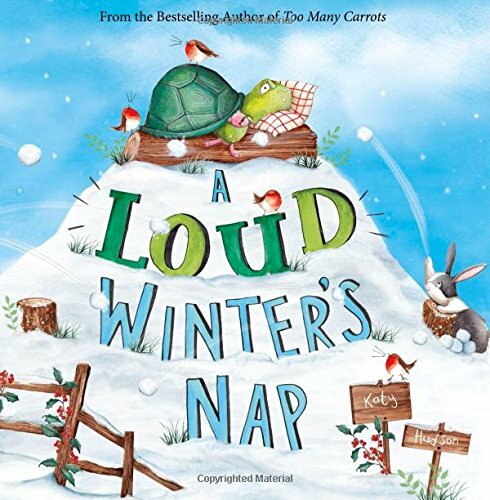 A Loud Winter's Nap is the perfect book for winter. You can also keep all your supplies for January's Book Box in one container. This way, your preschooler has access to retelling A Long Winter's Nap over and over again! Are you thinking, "Book Box? What is a Book Box?" Every month Lu, The Mama Workshop, and I team up with other talented bloggers to create a monthly book box. Together, we post at the same time, the first Sunday of each month the features book and preschool activity. I also quickly sketched three scenes from the book. One from the beginning, one from the middle, and one from the end. - remember preschoolers are not looking for perfection! They will be impressed with your quick sketches. Read A Loud Winter's Nap multiple times. Write beginning, middle and on large white paper. Add illustrations if you find them useful. As you reread the story, begin to place the blocks on the beginning, middle, and the end of the story. Using a tangible object as you discuss beginning, middle and end will help the concept "stick". Once finished reading, go over each part of the story sharing what you remember about the beginning, middle, and end. Now, who wants even more fun? This month we teamed up with The Mama Workshop and Michelle Dillon. Check out Lu's Turtle Craft! You will also love Michelle's Ice Skating for Sight Words! Activities in your inbox every Monday and Wednesday at 7 am. Jan 3 Quick Preschool Review of the ABCs.